1Faculty of Science and Arts at Shaqra, Shaqra University, Shaqra, KSA; 2Textile Research Division, National Research Center, Dokki, Cairo, Egypt; 3Shaqra University, Shaqra, KSA. In the present study we reported the feasibility of the Anethum graveolens as biosorbent to remove Pb(II) from aqueous solutions. Anethum graveolens was characterized by scanning electron microscopy and elemental analysis. The ability of Anethum graveolens to adsorb Pb(II) was investigated by using batch adsorption procedure. The effects such as pH, contact time, adsorbate concentration and biosorbent dosage on the adsorption capacity were studied. The experimental data were analysed using various adsorption kinetic models viz., the pseudo-first and second-order equations, Bangham’s equation, intraparticle diffusion and Elovich models. Results show that the pseudo-second-order equation provides the best correlation for the biosorption process. The equilibrium nature of Pb(II) adsorption at 30◦C has been described by the Langmuir, Freundlich, Temkin and Redlich-Peterson isotherm models. The equilibrium data fit well on Langmuir isotherm. The monolayer adsorption capacity of Pb(II) onto Anethum graveolens as obtained from Langmuir isotherm at 30◦C was found to be 303 mg/g. This high adsorption capacity of Anethum graveolens places this biosorbent as one of the best adsorbents for removal of Pb(II) from aqueous effluents. Developments in technology have led to the release of heavy metals such as lead, copper, chromium, nickel and zinc, which are hazardous to the environment and their toxicity and presence in the ecosystem poses a possible human health risk . Lead is one of these heavy metals, and can be introduced to liquid wastes from the manufacturing processes of storage batteries, smelting and refining of lead and from the processes of mining. In water, lead tends to accumulate in aquatic organisms through the food chain and by direct uptake . Lead is believed to cause hypertension, reproductive disorders and neurological and metabolic problems in humans . Among the many methods available to reduce heavy metals concentrations from wastewater, the most common are chemical precipitation, ion-exchange, and reverse osmosis. Precipitation methods are particularly reliable but require large settling tanks for the precipitation of alkalines sludges and a subsequent treatment is needed [3,4]. Ion-exchange has the advantage of allowing the recovery of metallic ions, but it is expensive and sophisticated. The adsorption process  is one of the most effective methods used to remove heavy metals from aqueous solution. Activated carbon is the most widely used adsorbent for this purpose because of its extended surface area, microporous structure, high adsorption capacity and high degree of surface reactivity. The commercial activated carbons are very expensive , this led to search for cheaper adsorbent. Consequently, numerous low-cost alternative adsorbent have been proposed including lingocellulosic wastes [7-11]. The agricultural wastes were considered as low-cost since they 1) require little processing and 2) are abundant in nature. Commonly, it concerns vegetal materials, then the term of biosorption is used to designate the fixation of contaminants onto biomaterials. The main focus of this study was to evaluate the biosorption aptitude of a novel, low cost, and renewable biomass, Anethum graveolens for the removal of Pb(II) from aqueous solutions. The effects of pH, contact time, initial metal concentration and biomass dosage on the biosorption capacity were investigated. Moreover, various kinetic models were used to examine the experimental data. 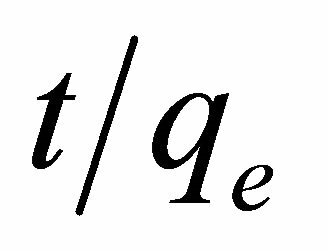 Experimental equilibrium data were fitted to the Langmuir, Freundlich, Temkin and Redlich-Peterson isotherm equations to determine the best-fit isotherm equation. Bio-dsorbent, Anethum graveolens, a desert plant is widely spread in Libya and Kingdom of Saudi Arabia. There is no previous report used Anethum graveolens as adsorbent material for removal of heavy metals. The roots were separated from the stems and leaves, washed with distilled water several times to remove the surface adhered particles and water soluble particles and dried at 80˚C in an electric oven for 24 h and ground using a mixer, and sieved to pass through a 150 - 200 mm. The roots were chosen because they contain the highest percentage of the cellulose content. Lead acetate, EDTA, ethanol, sodium carbonate and acetic acid were of analytical reagent grade supplied by Merck Company, Germany. where Co and Ce are the initial and final concentrations of metal ion, mg/V is the volume of metal ion (l), W is the weight of bioadsorbent (g). To carry out an SEM analysis of Anethum graveolens biomass, the sample was first mounted on a standard microscope stub and coating with a thin layer of gold using a Polaron Diode Sputter unit. The analysis was performed using a JEOL JSM-15 scanning electron microscope. 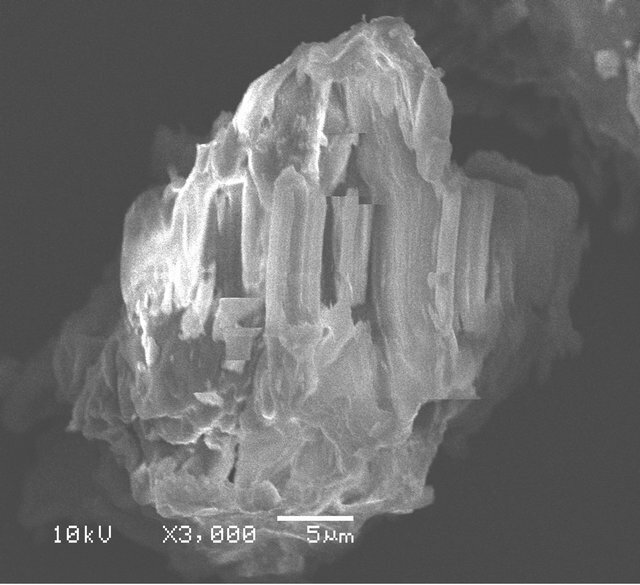 The SEM image (Figure 1) clearly shows that the sample of Anethum graveolens L is mainly composed of irregular and porous particles which indicated high surface area. It is clear from this figure that, Anethum graveolens has considerable numbers of pores where there is a good possibility of Pb(II) ions to be trapped and adsorbed into these pores. The C, H, N contents of Anethum graveolens were analyzed with a Perkin-Elmer 240 CHN elemental analyzer. The element contents are as follows: C, 37.03%, H, 4.9%, N, 2.2%. Figure 1. Scan Electron Microscope (SEM) of Anethum graveolens. Figure 2. Effect of pH on adsorption capacity of Pb(II) onto Anethum graveolens at 30˚C. them for adsorption sites. With the increase in pH, the competing effect of hydronium ions decreases and the positively charged Pb(II) ions adsorb on the free binding sites of the adsorbents. This is a common observation for all cases of adsorption of metal cations on solid surface in media of different acidity-basicity . It is also significant that the active sites on the Anethum graveolens surface are weakly acidic in nature and with increase in pH, they are gradually deprotonated making available more and more sites for metal ion uptake . At pH value higher than 4.5, the adsorption studied could not be carried out because metal ion will precipitate as lead hydroxide in this range. The effect of adsorbent concentration on both adsorption capacity and percent removal of lead are shown in Figure 3. It is clear from this figure that the percent removal of lead increases from 11% to 64% by increasing the concentration of adsorbent from 0.5 to 8 g/l and then remained at approximately the same level at higher adsorbent concentration. The increase in percent removal of Pb(II) with increasing adsorbent concentration in the first range could be attributed to the greater availability of the exchangeable sites of the adsorbent. The leveling of the percent removal at higher adsorbent concentration could be attributed to the blocking of the available active sites on the adsorbent surface. On the other hand, the adsorption capacity (qe), or the amount of Pb(II) adsorbed per unit mass of adsorbent (mg/g), decreases by increasing the concentration of adsorbent (Figure 3). The decrease in adsorption capacity with increasing the adsorbent concentration is mainly due to overlapping of the adsorption sites as a result of overcrowding of the adsorbent particles and is also due to the competition among Pb(II) ions for the surface sites . 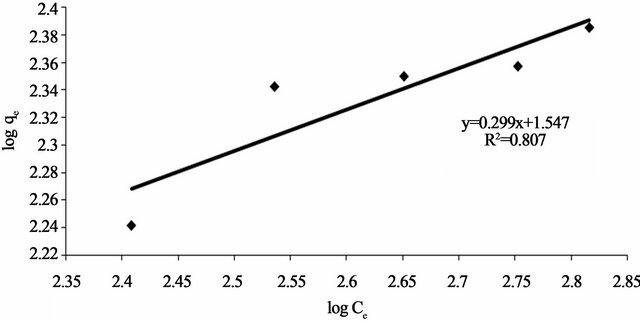 Figure 4 shows the effect of contact time on the adsorption capacity, qe (mg/g) of Pb(II) onto Anethum graveolens at 30˚C using adsorbate concentration of 330 mg/l at fixed pH and at adsorbent concentration. Equilibrium adsorption was established after 15 min within the concentration range studied indicating that the adsorption rate is very fast. It is further observed that the adsorption curve is smooth and continuous, which indicate the possibility of the formation of monolayer coverage of Pb(II) ions onto Anethum graveolens This data is important because equilibrium time is one of the parameters for economical wastewater treatment. Figure 3. Effect of adsorbent concentration on both adsorption capacity and % removal of Pb(II) onto Anethum graveolens at 30˚C. where Co, Ct and Ce are the concentration of Pb(II) ions (mg/l) at time zero, time, t, and at equilibrium time and k is the first order rate constant (min–1) for adsorption of Pb(II) ions onto Anethum graveolens The vales of R2 for the concentration of 300 mg/l (figure not shown) has very low value. 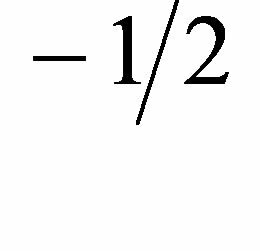 This indicates that the adsorption of Pb(II) onto Anethum graveolens is not acceptable for this mode. 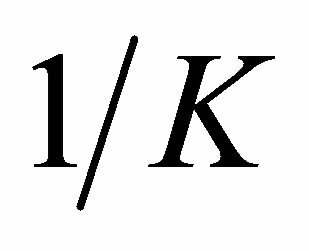 where k2 is the pseudo-second-order adsorption rate constant. 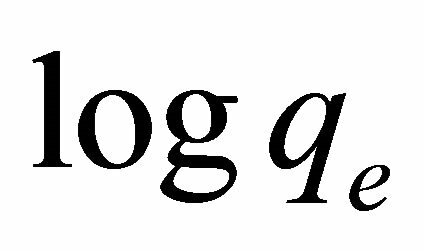 This equation predicts that if the system follows pseudo-second-order kinetics, the plot of versus t should be linear. Plotting the experimental data obtained for the adsorption Pb(II) ions at initial concentration of 300 mg/l onto Anethum graveolens according to the relationship given in Equation (8) gave linear plots with correlation coefficients, R2, of 0.9999 for Pb(II) concentration of 300 mg/l as shown in Figure 5" target="_self"> Figure 5 and listed in Table 1, thereby indicating the applicability of the pseudosecond-order kinetic equation to the experimental data. The experimental and calculated adsorption capacities for the two Pb(II) concentration of 300 mg/l as well as the values of k2, and R2 are presented also in Table 1. The first-order and pseudo-second-order models cannot identify the diffusion mechanism and the kinetic results were then subjected to analyze by the intra-particle diffusion mode. 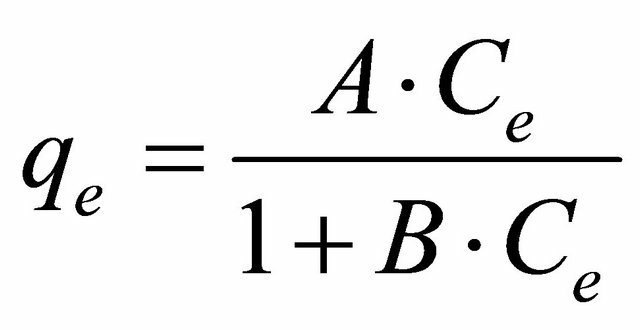 Bangham’s equation  was employed for applicability of adsorption of Pb(II) onto Anethum graveolens, whether the adsorption process is diffusion controlled. where Co is initial concentration of adsorbate (mg/l), V is volume of solution (ml), m is weight of adsorbent used per liter of solution (g/l), q is the amount of adsorbate retained at time t (mg/g), ( ) and k0 are constants. The double logarithmic plot, according to Equation (9) yield satisfactory linear curves for the adsorption of Pb(II) by Anethum graveolens The correlation coefficient value, R2 (Figure 6) were 0.9226 for the concentration of 300 mg/g. This indicates that the adsorption of Pb(II) onto Anethum graveolens is acceptable for this model and shows that the diffusion of adsorbate into the pores of the adsorbent was the rate-controlling step . Figure 4. Effect of contact time and initial concentration on adsorption capacity of Pb(II) onto Anethum graveolens at 30˚C. Figure 5. Pseudo-Second order reaction of Pb(II) onto Anethum graveolens for concentration of 330 mg/l at 30˚C. Figure 6. Pseudo-Second order reaction of Pb(II) onto Anethum graveolens for concentration of 330 mg/l at 30˚C. Figure 7. Intra-particle diffusion of Pb(II) onto Anethum graveolens for concentration of 330 mg/l at 30˚C. tion followed by linear portion and plateau. The initial curved portion is attributed to the bulk diffusion and the linear portion to the intra-particle diffusion, while the plateau corresponding to equilibrium. The deviation of straight lines from the origin (Figure 8) may be because of the difference between the rate of mass transfer in the initial and final stages of adsorption. Further, such deviation of straight line from the origin indicates that the pore diffusion is not the rate-controlling step . 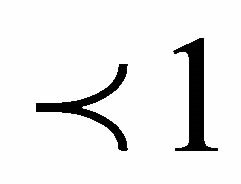 The values of kp (mg×g−1×min−1) obtained from the slope of the straight line (Figure 8) are listed in Table 1. The value of R2 for the plot is listed also in Table 1. 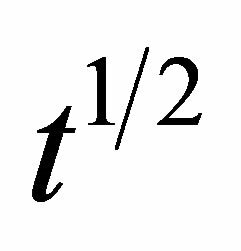 The value of intercept, C (Table 1) give an idea about the boundary layer thickness, i.e., the larger the intercept, is the greater the boundary layer effect . 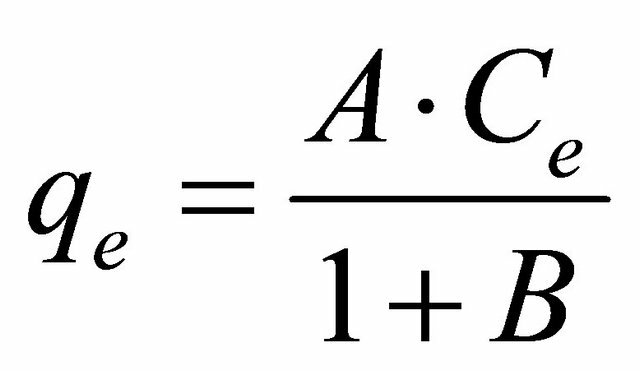 This value indicates that the adsorption of Pb(II) onto Anethum graveolens may be follow the intra-particle diffusion mechanism. where is the initial adsorption rate (mg/g×min−1) and is the adsorption constant (g/mg) during the experiment. If Pb(II) adsorption onto Anethum graveolens fits the Elovih model, a plot of qe versus ln t should yield a linear relationship with a slope of and an intercept of . Figure 9 shows a plot of linearization form of Elovich model at the Pb(II) concentration of 300 mg/ The slope and intercept of the plot of qt versus ln t was used to determine the constant and the initial adsorption rate α. The correlation coefficient value, R2 for the plot is listed in Table 1. The correlation coefficient for the Elovich kinetic model obtained at the Pb(II) concentration of 300 mg/l was over 0.92. This indicates that the adsorption of Pb(II) onto Anethum graveolens is acceptable for this mode. Figure 8. Test intra-particle diffusion of Pb(II) onto Anethum graveolens for concentration of 330 mg/l at 30˚C. Figure 9. Elovich model of Pb(II) onto Anethum graveolens for concentration of 330 mg/l at 30˚C. Figure 10. Equilibrium adsorption isotherm Pb(II) onto Anethum graveolens at 30˚C. Table 1. Kinetic parameters for adsorption of Pb(II) onto Anethum graveolens at 30˚C. mathematical models can be used to describe and characterize the adsorption process. The four most common isotherms for describing solid-liquid sorption systems are the Langmuir, the Freundlich, Temkin and the RedlichPeterson isotherms. Therefore, in order to investigate the adsorption capacity of Pb(II) onto Anethum graveolens, the experimental data were fitted to these equilibrium models. • There is no interaction between molecules adsorbed on neighboring sites. 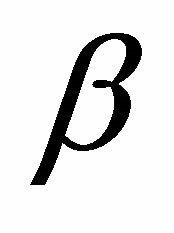 where Co is the initial concentration of Pb(II) and b is mentioned before. The RL values for Pb(II) concentration of 330 mg/l onto Anethum graveolens biomass at 30˚C are given in Table 2. The values of the correlation coefficient, R2 of Langmuir plot are over 0.97 indicate that the bioadsorption of Pb(II) onto Anethum graveolens biomass is fitted well on the Langmuir isotherm (obey the Langmuir isotherm). 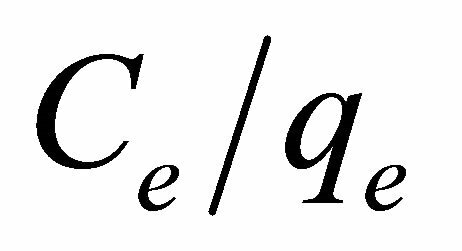 where qe is the equilibrium concentration Pb(II) on biomass adsorbent (mg/g), Ce the equilibrium concentration of lead in solution (mg/l) and KF (mg/g) and n are the Freundlich constants characteristic of the system, indicators of adsorption capacity and adsorption intensity, respectively. Linear plots of log qe vs logCe at 30˚C (Figure 12) suggest the applicability of adsorption process of Pb(II) onto Anethum graveolens on Freundlich isotherm. The values of KF and n were evaluated from the intercept and the slope of the plot and their numerical values are listed in Table 2. 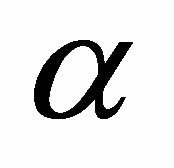 The n value gives an indication to favorability of adsorption. 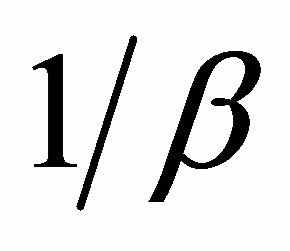 The value of n was 3.34 at 30˚C (0 < n < 10) showing that the adsorption of Pb(II) ions onto Anethum graveolens is favourable. The correlation coefficient, R2 values (Table 2) of Pb(II) by Anethum graveolens was over 0.80 indicating that the adsorption of Pb(II) ions on Anethum graveolens are not fitted well on Freundlish isotherm. Linear plots of qe vs ln Ce at 30˚C (Figure 13) suggest the applicability of adsorption process of Pb(II) onto Anethum graveolens on Temkin isotherm. The values of AT and bT were evaluated from the intercept and the slope of the plot and their numerical values along with R2 are listed in Table 2. R2 value (Table 2) of Pb(II) by Anethum graveolens was over 0.85 indicating that the adsorption of Pb(II) ions on Anethum graveolens is slightly fitted on Temkin isotherm. Table 2. Constants and ARE of different adsorption models for Pb(II) onto Anethum graveolens at 30˚C. Figure 11. Langmuir adsorption plot of Pb(II) onto Anethum graveolens at 30˚C. Figure 12. Freundlich adsorption plot of Pb(II) onto Anethum graveolens at 30˚C. Figure 13. Temkin adsorption plot of Pb(II) onto Anethum graveolens at 30˚C. plicable to computer operation was developed to determine the correlation coefficient, R2, for a series of values of A for the linear regression of ln versus ln Ce at 30˚C to obtain the best values of A which yields a maximum value of R2. R2 value (Table 2) of Pb(II) by Anethum graveolens was over 0.96 indicating that the adsorption of Pb(II) ions on Anethum graveolens is fitted well also on Redlich-Peterson n isotherm (obey the Redlich-Peterson isotherm). The comparison between the experimental data and the theoretical data obtained from isotherm models of Pb(II) onto Anethum graveolens are shown in Figure 15 which illustrates that the Langmuir isotherm fitted the experimental data better than other isotherms. The use of R2 is limited to solve linear forms of isotherm equation, which measures the difference between experimental and theoretical data in linearized plots only, but not the errors in non-linear form of isotherm curved. For this reason we use average relative error (ARE) to determine the best fit in isotherm models. For all isotherm models, the value of ARE for adsorption of Pb(II) onto Anethum graveolens are calculated and presented in Table 2. The most obvious conclusions from these results are that the Langmuir isotherm model has the lowest values for ARE and therefore fits the data better than the rest of isotherm models. The bioadsorbent contains various organic compounds (lignin, cellulose and hemicellulose) with polyphenolic groups that might be useful for binding metal ions. The scan image of bio adsorbent shows that Anethum graveolens has a microporous structure; therefore, pores are large enough to let Pb(II) ions through. According to the data obtained from intra-particle diffusion model, and elemental analysis of bio adsorbent, the mechanism of adsorption of Pb(II) ions on porous adsorbents may involve four steps 1) diffusion of the ions to the external surface of adsorbent; 2) diffusion of ions into the pores of adsorbent; and 3) adsorption of the ions on the internal surface of adsorbent; 4) chelation between the electrondonating nature of O-, and N-containing groups in the Anethum graveolens and electron-accepting nature in Pb(II). Figure 14. Redlich-Peterson adsorption plot of Pb(II) onto Anethum graveolens at 30˚C. Figure 15. Comparision between different isotherm Pb(II) onto Anethum graveolens at 30˚C. effective adsorbent for the removal and recovery of Pb(II) from wastewater. The adsorption of Pb(II) onto Anethum graveolens is pH dependent. The maximum adsorption capacity, Qmax was 303 mg/g at pH 4 and at 30˚C. The adsorption follows second-order and intraparticle diffusion kinetics. The adsorption process follows Langmuir and Redlich-Peterson isotherms but slightly fitted on Temkin and Freundlich models. The authors thank Ibrahim Mohamed (Chemistry Department, Sebha University) for assistance during this work. A. Hashem, A. M. Azzeer, and A. Ayoub, “Removal of Hg (II) Ions from Laboratory ‎Wastewater onto Phosphorylated Haloxylon ammodendron: Kinetic and Equilibrium Studies,” Polymer-Plastics Technology and Engineering, Vol. 49, No. 4, 2010, pp. 1395-1404. A. Hashem, E. Abdel-Halim, H. A. Maauof, M. A. Ramadan and A. Abo-Okeil, “Treatment of Sawdust with Polyamine for Wastewater Treatment,” Energy Education Science and Technology, Vol. 19, 2007, pp. 45-58. A. Hashem, A. Abou-Okeil, A. El-Shafie and M. El-Sakhawy, “Grafting of High α-Cellulose Pulp Extracted from Sunflower Stalks for Removal of Hg (II) from Aqueous Solution,” Polymer-Plastics Technology and Engineering, Vol. 45, 2006, pp. 135-141. H. Freundlish, “Over the Adsorption in Solution,” The Journal of Physical Chemistry, Vol. 57, 1906, pp. 385- 470.